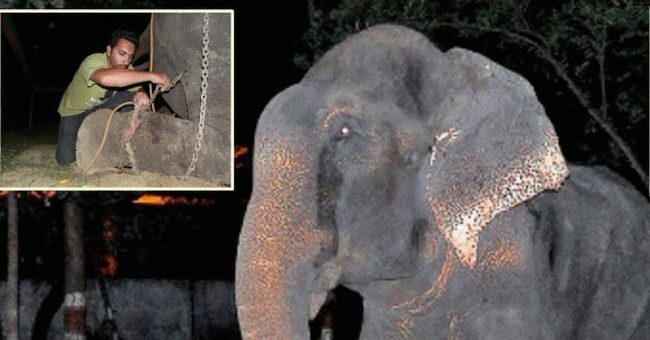 After five decades of confinement, with the painful shackles around the feet and treated as property, Raju the elephant was finally given his freedom this summer. 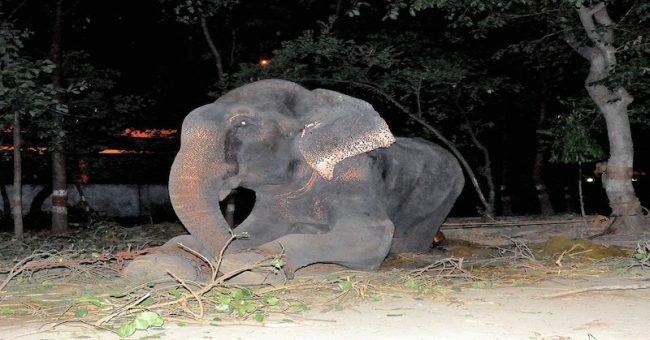 This elephant walked the Indian dusty roads, interacting tourists for food and coins for fifty years. When he was rescued, he had scars of physical abuse and suffered from malnutrition, but the trauma he has suffered had no limits. 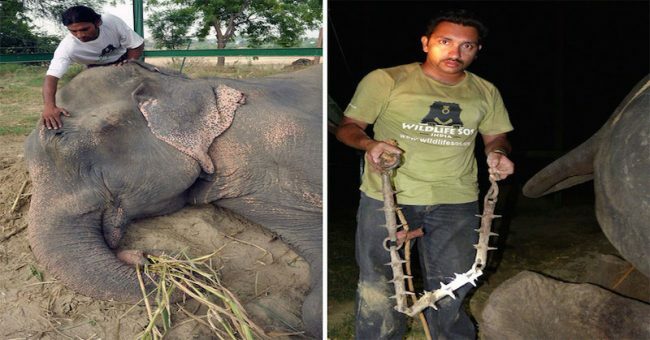 “Raju’s case was particularly tragic. He has been sold on and on. We believe he has had up to 27 owners. By the time we found him he was in a pathetic condition. It is believed that he was abducted from his mother fifty years ago, and ever since, he suffered mistreatment. 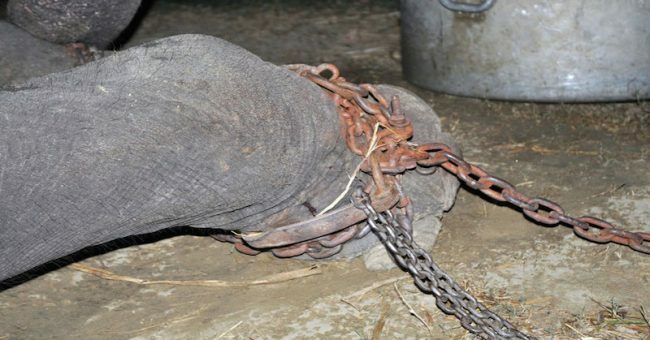 This July, he was liberated by a team led by the UK-based animal charity Wildlife SOS, and when he realized they were there to rescue him, he began to weep. 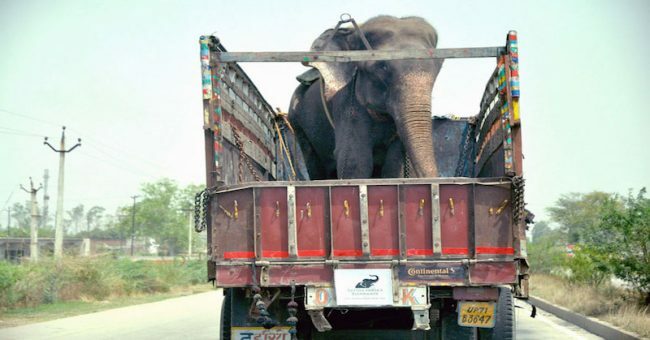 “Raju was in chains 24 hours a day, an act of ¬intolerable cruelty. The team was astounded to see tears roll down his face during the rescue. It was incredibly emotional. His unfortunate situation was reported a year ago, and the team, together with local authorities, started a legal process to confiscate Raju from his keeper. 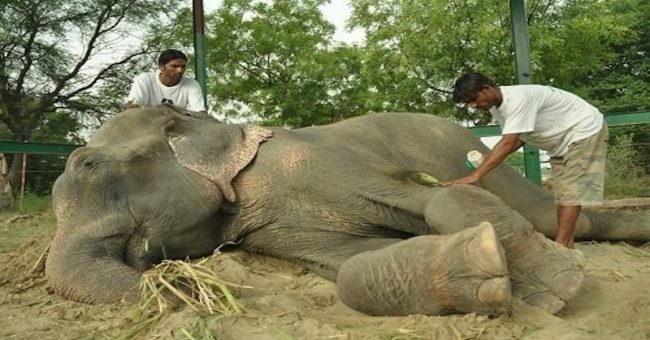 Afterward, he was brought 350 miles away, to Wildlife SOS’s Elephant Conservation and Care Centre at Mathura, where he received proper medical care and started his happy companionship with the other rescued animals there. 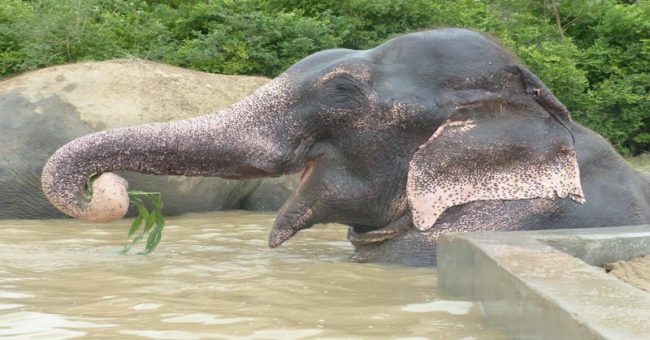 The freed elephant was kept in isolation pen for a week in order to receive emergency medical attention, and wildlife officials struggled hard to raise money so Raju can spend the rest of his life in a new enclosure. “All he’s known from human beings is pain and suffering — now we’re asking to help us help him live out his days, with grass under his feet — free from humiliation and pain. 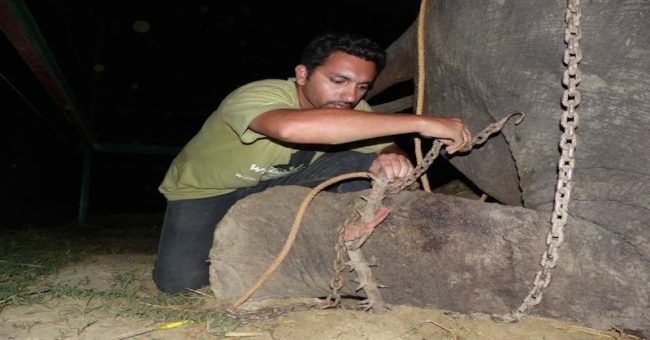 It will be a long rehabilitation process, but we will teach him that humans don’t mean pain and brutality, but it’s going to take time,” Satyanarayan said. He is on the better side of humanity now.